'District 8' held its soft opening on Tuesday evening, with the official public opening set on August 14. 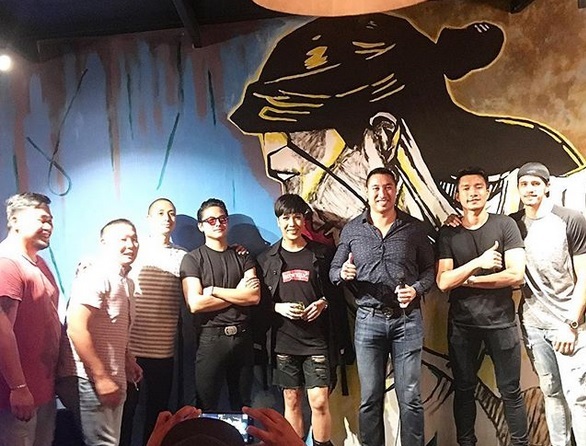 The new gastro pub, which is located in Greenhills, San Juan City, is owned by Daniel Padilla,Vice Ganda and James Yap. Aside from them, Billy Crawford, Paul Artadi, Marc Pingris, Charlton Yu and former San Juan vice mayor Francis Zamora are the other investors in the restaurant. The soft-opening event was attended by the family and friends of the star-studded owners.